Kids should be able to wear whatever they want when they dress up for a costume party. Some kids want to be something scary, while others want to be their favorite movie character. But what about those kids who want to be a cephalopod? Yes, what about those kids that follow the beat of their own drum and dream of being the clever little sea creature? We haven't forgotten about them! This Child Octopus Costume lets any child with an interest in aquatic animals live out their dream of being one of those rascally creatures. 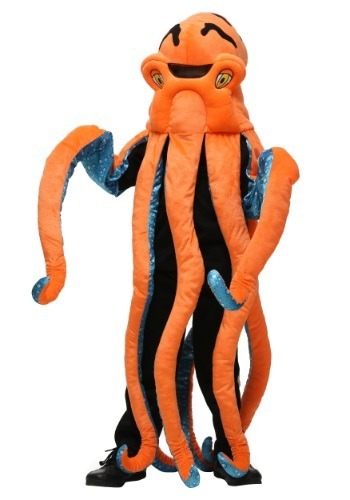 The costume comes complete with long, dangling tentacles and an adorable octo-face that will have any kid feeling like an eight-armed king of the ocean.